Revivalism isn't easy. Customs and traditions change frequently. 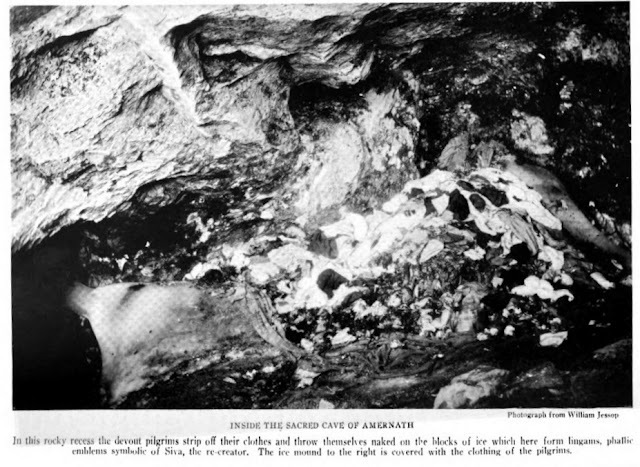 All evidence suggests that the tradition required pilgrims to take off their cloths inside the cave at Amarnath. Something akin to what still Naga Sadhus do at Kumbh Melas across India. 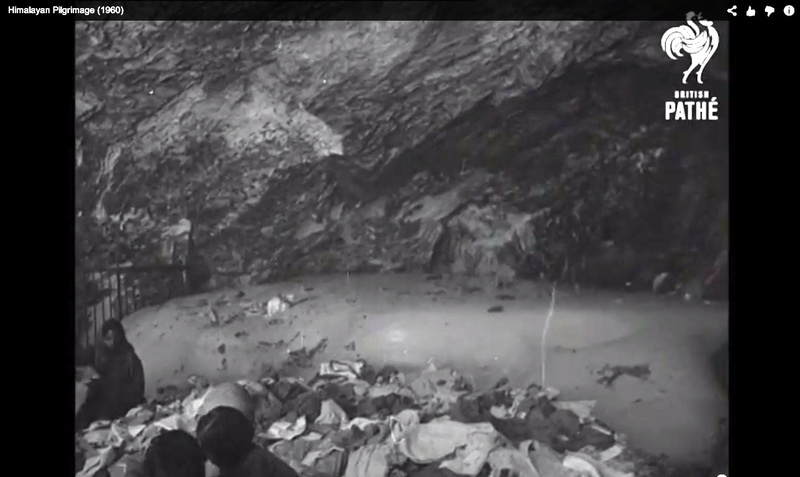 Evidence suggests this is not done anymore at Amarnath, none of the recent photographs of the place suggest this. From National Geographic Magazine, Vol 40, 1921. Recently, in a documentary (uploaded by British Pathé ) about Amarnath from 1960 titled 'Himalayan Pilgrimage', I came across the same pile of cloths. When exactly did the practice stop? We don't know. I spoke to my mother about this, who visited Amarnath in the 60's, but she never heard of this tradition of pilgrims having to removing cloths in the cave. I suspect the tradition of removing cloths were done by Sadhus from outside the valley, who would do this in Amarnath. I'm guessing they stopped this because of practical reasons such as the cold climate, especially if they had to climb down with virtually no clothes and rules and regulations by the Maharaja of Kashmir who did not want to deal with too many people falling ill because of lack of clothes and the cold weather. From what I was able to infer: The practice comes from Naga Sadhus and Goswamis. Nagas still do visit the place without much clothing.